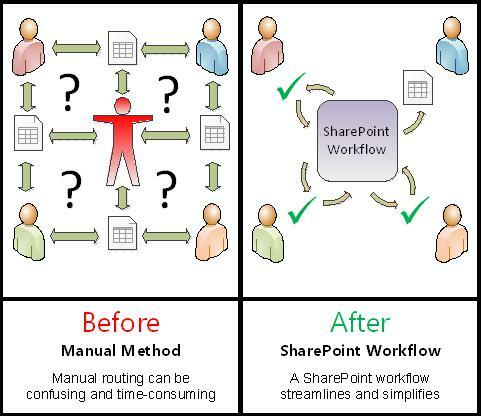 SharePoint workflows can help you automate your business processes, making them both more consistent and more efficient. 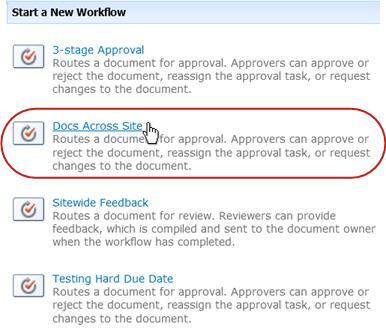 The Approval workflow lets you route documents and other items stored in SharePoint to one or more people for their approval. For more information, see About the workflows included with SharePoint. 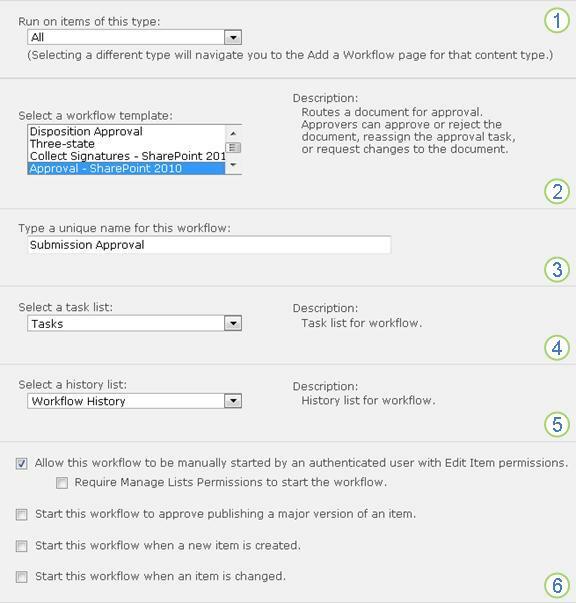 Important: By default, the Approval workflow is not activated and is not listed in the Select a workflow template list box of the association form. To make it available for use, a site administrator must activate them at the site collection level. Go to Site Settings > Site Collection Features > activate the Workflows feature. Also, SharePoint 2013 provides these workflow templates based on SharePoint 2010 compatibility mode. To create a SharePoint 2013 based workflow with similar logic, use SharePoint Designer 2013. If all you need to do is complete an Approval workflow task Just scroll down to the Complete segment and expand it. You might not need any of the other segments for now. 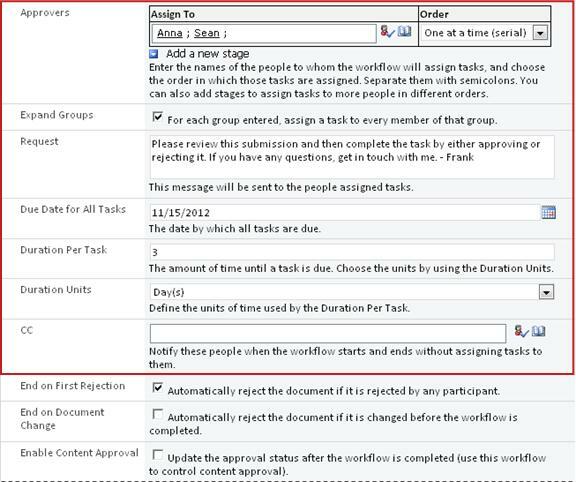 Efficient and consistent An Approval workflow automatically routes the document or item, assigns review tasks and tracks their progress, and sends reminders and notifications when needed. The activity in a workflow can be monitored and adjusted from a central status page, and the history of events in a workflow run is maintained for 60 days after completion. 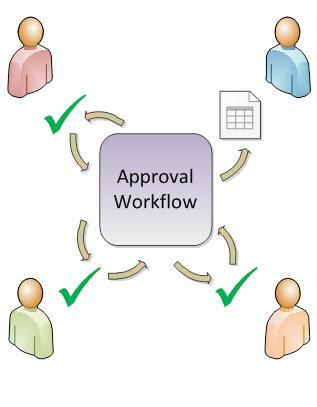 Less work for you An Approval workflow saves you and your colleagues both time and trouble, and at the same time streamlines and standardizes your approval process. Here’s a diagram of a very simple version of the Approval workflow. The information in this article is presented in ten expandable segments. If you want to add, start, monitor, and maintain workflows If you aren’t already familiar with these tasks, you might find it useful to work your way through this article, segment by segment, the first time that you design and add a workflow. Once you’re familiar with the information and the article layout, you’ll be able to go straight to the segment you need on any return visits. And a word about searching Before you search for any text or term in this article, make sure that all of the segments in which you want to search are expanded. An Approval workflow is a SharePoint feature that routes a document or other item stored in a SharePoint list or library to one or more people for their approval or rejection. The workflow automates, streamlines, and standardizes the whole process. The basic Approval workflow that’s included with SharePoint products functions as a template. Using this template, you can add multiple Approval workflows to your sites. Each workflow that you add is a unique version of the basic Approval workflow, each with its own specialized way of working, based on the settings that you specify when you add it. What can an Approval workflow do for me? What can’t an Approval workflow do? Who can use this type of workflow? How do you plan, add, run, and maintain this type of workflow? 1. What can an Approval workflow do for me? When you first add an Approval workflow to your list, library, or site collection, you can specify how many participants to include, and indicate whether their tasks are assigned one after another (in serial) or all at once (in parallel). You can even decide whether to divide the participants’ tasks into two or more separate stages, as well specify a final due date and/or the time allowed for each task to be completed. And each time that you start the workflow manually on an item, you can modify any of these settings. 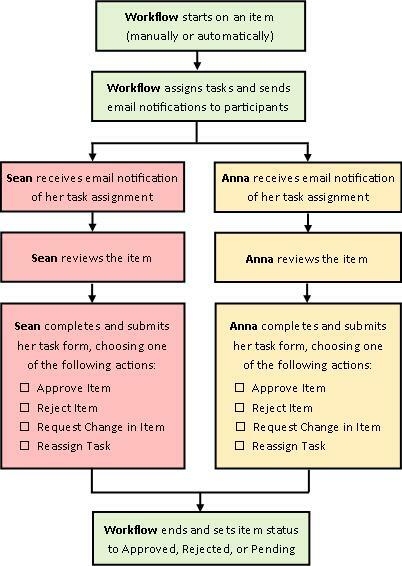 The workflow assigns a task to each specified participant. Each participant chooses among several possible responses: to approve or reject the item, to request a change in the item, to reassign the task, or to cancel or delete the task. While the workflow is running, you can monitor progress and make adjustments (if needed) from a single, central Workflow Status page. For 60 days after the workflow is completed, the list of all workflow events that occurred in the course of this run (or instance) of the workflow is still available on the Workflow Status page, for informal reference. You can also use an Approval workflow to manage a content approval process for a list or library. For more information, see the Control segment of this article. 2. What can’t an Approval workflow do? Participants in an Approval workflow aren’t usually permitted to make changes in the item being reviewed. Instead, participants can request that changes be made to the item in the course of the workflow instance. If you want to add a workflow in which participants insert comments and tracked changes in the item itself, see the article, All about Collect Feedback workflows, in the See Also section. Also, Approval workflows aren’t designed to collect signatures. If you want to use a workflow to collect signatures in a Microsoft Word document, a Microsoft Excel workbook, or a Microsoft InfoPath form, see the article,All about Collect Signatures workflows, in the See Also section. 3. Who can use this type of workflow? 4. How do you plan, add, run, and maintain this type of workflow? Before you add a workflow, you plan where you want to add it (for a single list or library, or for the entire site collection) and the details of how it will work. After you’ve added and configured the workflow, anyone with the necessary permissions can start the workflow on a specific item. The workflow can also be set up to run automatically. Automatic runs can be activated based on either or both of two triggering events: when any item is added to or created in a list or library, or when any item in a list or library is changed. While the workflow runs, individual participants complete their assigned tasks. Automatic reminders are sent to participants who fail to meet task deadlines. Meanwhile, the progress of the workflow can be monitored from a central Workflow Status page for that particular instance of the workflow. Adjustments to the workflow while it runs can be made from that same page; and, if necessary, the workflow can be canceled or terminated from there. When the workflow is complete, the whole history of that run (or instance) can be reviewed for up to 60 days on the Workflow Status page. From the same page, statistical reports on the performance of this workflow version can be created. Finally, if there is ever anything that you want to change about the way the workflow functions, you can open and edit the association form that you completed when you first added the workflow. The following flow chart illustrates these stages from the perspective of the person who is adding a new workflow. In this segment, we identify the decisions you need to make and the information you need to assemble before you add a version of the Approval workflow. If you’re already familiar with how to add this type of workflow and only need a reminder about the specific steps, you can go straight to the appropriate Add segment (List/library or Site collection) of this article. The workflows included with SharePoint products function as master templates on which the specific, individual workflows that you add to your lists, libraries, and site collection are based. Each time that you add an Approval workflow, for example, you are actually adding a version of the general Approval workflow template. You give each version its own name and its own settings, which you specify in the association form when you add that particular version. That way, you can add multiple workflows, all versions based on the Approval workflow master template, but each of the versions named and tailored for the specific way that you will use it. The named versions can also be referred to as workflow instances. Whenever you add a new workflow version based on one of the included workflow templates, you fill out an association form to specify the way that you want your new instance to work. In the following section, you’ll find a list of questions that will prepare you to complete the association form. First, though, take a moment or two to look over the form and its fields. 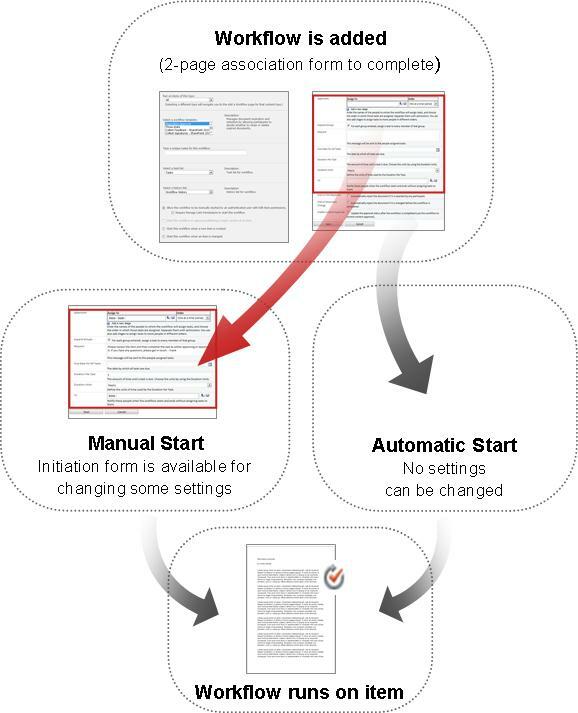 The fields in the red box on this second page also appear on the initiation form, which is presented each time that the workflow is started manually, and can be edited there for that single run. As soon as you have the answer to all of the questions in this section, you’re ready to add your workflow. Is this the right workflow type? One list or library, or the whole site collection? and One content type, or all content types? Task lists and history lists: Existing or new? How (and by whom) can this workflow be started? Do content types that inherit from this one also get this workflow? Participants: Which people, in which order? What additional information do participants need? When does this workflow end? Will this workflow control content approval? 01. Is this the right workflow type? There are several workflow templates that have the word ‘Approval’ in their names. 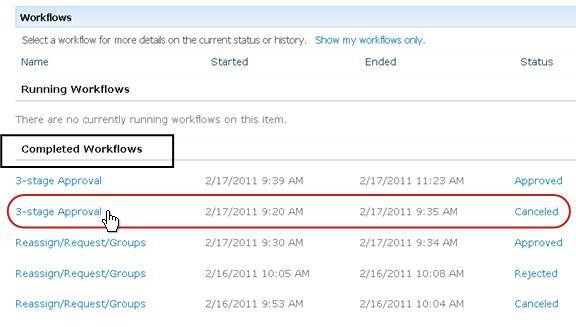 This article concerns the workflow template that appears in the menu as Approval – SharePoint 2010. If you’re not sure that this workflow type is the best choice for you, refer back to the LEARN segment of this article. For further information about the other workflow templates that are available, see the article, About the workflows included with SharePoint, in the See Also section. 02. One list or library, or the whole site collection? (and) One content type, or all content types? You can make your new version of the Approval workflow available in a single list or library only, or you can make it available throughout the entire site collection. If you add the workflow for a single list or library, you can set it up to run either on all content types or on a single content type only. 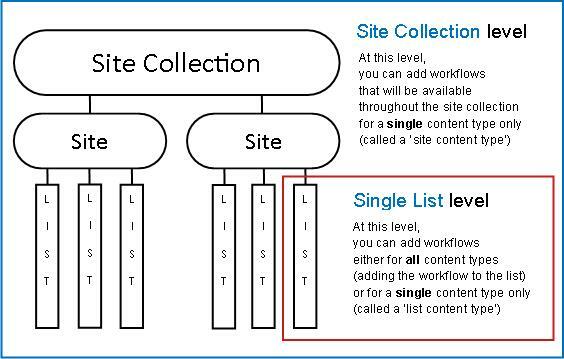 If you add the workflow for the entire site collection, however, you must set it up to run on a single site content type only. 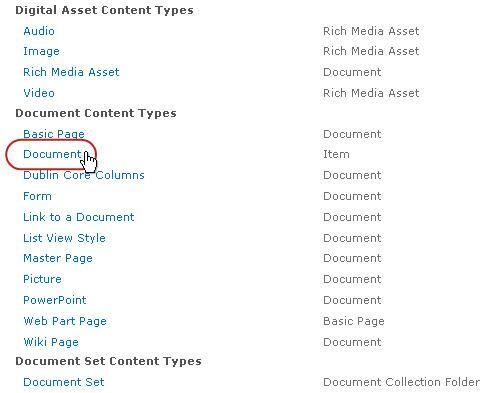 Each document or other item stored in a SharePoint list or library belongs to one or another content type. A content type can be as basic and generic as Document or Excel Spreadsheet, or as highly specialized as Legal Contract or Product Design Specification. Some content types are available in SharePoint products by default, but you can both customize these and add others that you create yourself. For more information, see Create or customize a site content type and Add a content type to a list or library. 03. What’s a good name? Clearly indicates what it’s used for. Clearly distinguishes it from other workflows. You’ll run the first workflow on each submitted document to decide whether to accept it for the editing process. After you accept and edit a submitted document, you’ll run the second workflow on the edited draft to decide whether to accept it as final. You might name the first workflow Accept Submission Approval and the second one Final Draft Approval. Tip: As usual, it’s a good idea to establish consistent naming conventions, and to make sure that everyone involved with your workflows is familiar with those conventions. 04. Task lists and history lists: Existing or new? You can have your workflow use the site’s default Tasks list and History list, use other existing Tasks and History lists, or request new lists just for this workflow. 05. How (and by whom) can this workflow be started? When you manually start an Approval workflow on a specific document or item, another form, the initiation form, is presented. The initiation form contains most of the settings from the second page of the association form. That way, if the person who starts the workflow wants to change any of those settings (for the current instance only), they can do so before they click Start. Go to the list > Item context menu > Workflows > Select the workflow to start it manually. With an automatic start, of course, there’s no opportunity to present an initiation form, so the default settings specified in the association form are used without any changes. The following illustration shows the difference between manual starts and automatic starts. Any changes that you make in the initiation form are applied only during the current instance of the workflow. To change the permanent, default settings of the workflow, you edit the original association form, as explained in the CHANGE segment of this article. If you allow manual starts, anybody who has the necessary permissions can start the workflow on any eligible item at any time. The advantages of a manual start are that you and your colleagues can run the workflow only when and if you choose to, and that each time you run it you’ll have the chance to change some settings by using the initiation form. The primary disadvantage of manual starts is that somebody has to remember to run the workflow whenever it’s appropriate to do so. Someone attempts to publish a major version of an item. A new item is created in or uploaded to the list or library. An item already stored in the list or library is changed. The advantage of an automatic start is that no one has to remember to start the workflow. It runs every time a triggering event occurs. A quick example If you’re responsible for the accuracy and appropriateness of the items in a list, you could add an Approval workflow to that list and specify yourself as the only participant. You could set up the workflow to start automatically every time an item in the list is changed and every time a new item is added. That way, you’ll always be kept up to date. You can’t stop the workflow from running whenever a triggering event occurs. You can’t change any settings at the beginning of the individual instance. For more information about running your Approval workflow automatically whenever somebody attempts to publish a major version of an item, see the Control segment of this article. 06. Do content types that inherit from this one also get this workflow? Only when you add a workflow to a content type for the entire site collection, you ‘re given the option of also adding the workflow to all other content types in the site collection that inherit from the content type you’re adding the workflow to. The operation that accomplishes all of the additional adding can take a long time to complete. If inheritance has been broken for any sites or subsites where you want this workflow added to inheriting content types, then make sure that you’re a member of the Owners group in each of those sites or subsites before you run this operation. 07. Participants: Which people, in which order? You’ll need to supply the name or email address for each person to whom review tasks will be assigned. One stage or multiple stages? You can choose to have only one stage of review tasks, or to have multiple stages. If you have more than one stage, the stages will be performed one after another. Parallel reviews or serial reviews? For the participants in any one stage, you can choose either to have their review tasks assigned all at the same time (in parallel) or to have their review tasks assigned one after another (in serial) in the order that you indicate. The serial option can be useful if, for example, you set up the workflow to end after the first rejection — or if you want participants further along to be able to look at comments from earlier participants as part of the context of their reviews. By using a serial review Frank sets up a single-stage serial review in which Anna and Sean are the first two participants and he is the third; and he selects the End on First Rejection option. 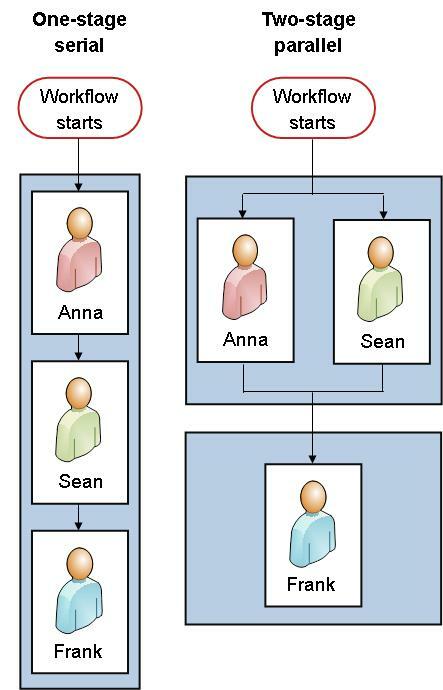 In this arrangement, Anna must approve the item before Sean’s task is assigned, and then Sean must approve the item before Frank’s task is assigned. 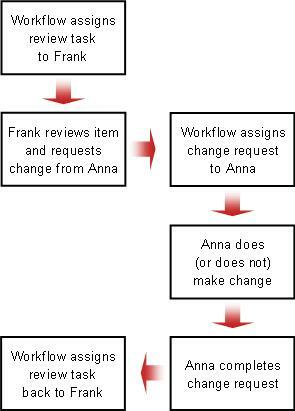 If Anna rejects the item, neither Sean nor Frank will be assigned a task; and if Anna approves but Sean rejects, then the workflow still ends before Frank’s review task is ever assigned. Here’s how Frank sets up his single-stage serial review. By using two stages If Frank wants Anna and Sean to be assigned their reviews at the same time, so that Sean doesn’t have to wait for Anna to finish before she can begin, he can set up two stages in the workflow: the first a parallel stage for Anna and Sean’s reviews, and the second a separate stage for only his own review. Again, he selects the End on First Rejection option. The second stage won’t start until the first stage is completed; so again, if either Anna or Sean rejects the item, Frank’s review task will never be assigned. Here’s how Frank sets up his two-stage parallel review. Here are diagrams of both solutions. Outside participants There is a special process for including participants who aren’t members of your SharePoint organization. In this process, a site member acts as a proxy for the outside participant. 08. What additional information do participants need? There is a text field in the association form where you can provide instructions, details about requirements, resources, and so forth. Contact information, in case participants have difficulties or questions. 09. When are tasks due? By calendar date You can specify a single calendar date by which all tasks are due. If you set up your workflow to start automatically, you usually shouldn’t use this option. This is because the date value that you specify won’t automatically adjust itself in relation to the current date each time the workflow starts automatically. By task duration You can specify a number of days, weeks, or months that are allowed for the completion of each task, beginning when that task is assigned. A calendar due date overrides a specified task duration. That is: If today is June 10, and I’m assigned a task today that has a three-day duration, but which also has a calendar due date of June 11, then the task will be due on June 11 (the calendar due date) and not on June 13 (the end of the three-day duration). 10. When does this workflow end? Any participant rejects the item. The item is changed in any way. 11. Who needs to be notified? In the CC field, on the second page of the association form, you can enter names or addresses for anyone who should be notified each time this workflow starts or ends. Entering a name here doesn’t result in the assignment of a workflow task to that person. When the workflow is started manually, the person who starts it receives the start and end notifications without needing to be specified in this field. When the workflow is started automatically, the person who originally added it receives the start and end notifications without needing to be specified in this field. 12. Will this workflow control content approval? You might have lists or libraries in which you want new items and/or new versions of current items to be reviewed for the accuracy of their content, or for the appropriateness of their form and style, before they’re made visible to everyone who has access to the list. That sort of review process is called content approval. 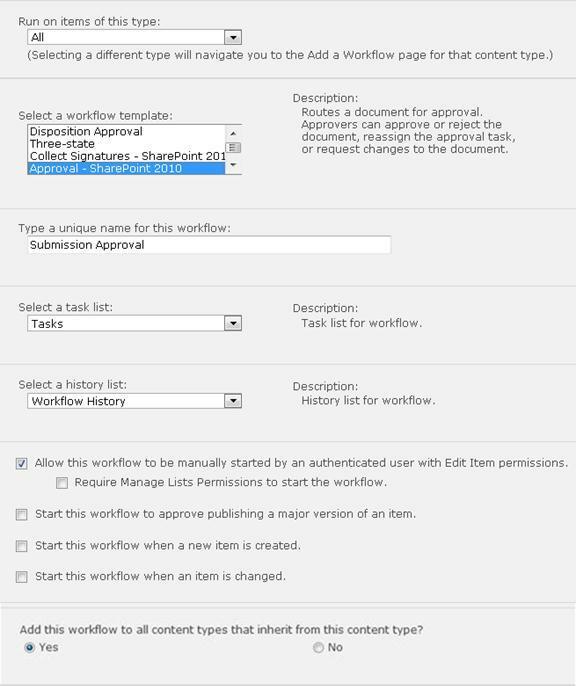 In SharePoint products, you can use an Approval workflow to make the content approval process even easier and more efficient. For more information, see the Control content approval segment of this article. If you’re ready to add your new Approval workflow to your list, library, or site collection, go to the appropriate Add segment (List/library or Site collection) of this article. You might have lists and libraries in which you want new items and/or new versions of current items to be reviewed for the accuracy of their content or the appropriateness of their form and style before they’re made visible to everyone who has access to the list. That sort of review process is called content approval. In SharePoint products, you can control content approval manually, without a workflow; but a SharePoint Approval workflow can make the process even easier and more efficient. There are two ways in which an Approval workflow can control the content approval process, each way associated with a single control in the association forms that you fill out when you first add the workflow. You can use your workflow for either or both. This option is available only for an Approval workflow that runs on all content types in a single list or library, and not for any workflow that runs on items of a single content type only. For this option to be available, content approval must enabled for the list or library on the Versioning Settings page, and the Create major and minor (draft) versions option must be selected on that same page. If you select this option, the two options that follow it become unavailable: Start this workflow when a new item is created and Start this workflow when an item is changed. If you select this option, your workflow will run automatically on an item only when someone attempts to publish a major version of that item. In any one list or library, there can only be one Approval workflow that’s used for approving publication of major versions. If you attempt to designate a second workflow in the same list or library for this function, you will be prompted to choose one or the other. 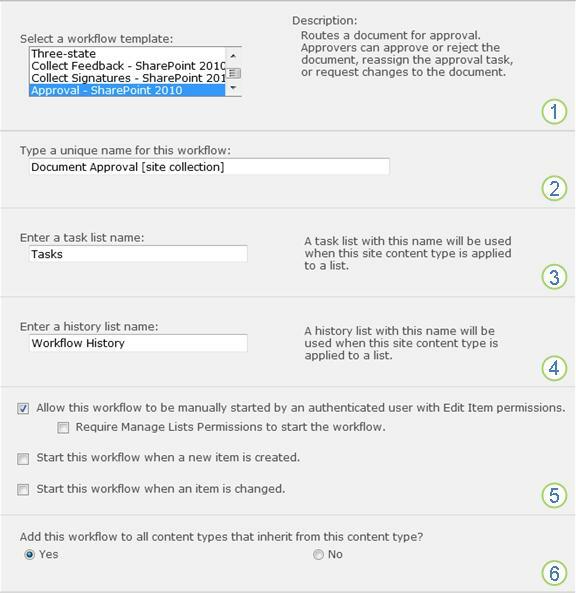 In the Enable Content Approval area of the second page of the association form, there’s an option to Update the approval status after the workflow is completed (use this workflow to control content approval). This option is available in the form whether or not content approval is required in the list or library. Either way, the value in the Approval field for the item is updated based on the outcome of the workflow. Content control is a specialized process in sites that publish pages to the web. Accordingly, there is a specialized Publishing Approval workflow for use in publishing sites, as well as a site template (named Publishing Site with Workflow) that includes a version of that workflow already customized for use in web publishing. If you’re not yet familiar with adding workflows, you might find it useful to review both the LEARN segment and the PLAN segment in this article before you proceed with the steps in this segment. Email In order for the workflow to send email notifications and reminders, email must be enabled for your SharePoint site. If you’re not sure that this has already been done, check with your SharePoint administrator. Also see SharePoint 2013 Step by step: Setup for Outgoing Email Setting. Open the list or library for which you want to add the workflow. On the ribbon, click the List or Library tab. Note: The name of the tab can vary with the type of list or library. For example, in a calendar list the tab is named Calendar. On the Workflow Settings page, under Show workflow associations of this type, specify if you want the workflow to run on the document, list, or a folder and then click Add a workflow. Complete the first page of the association form. Keep the default selection as All, or select a specific content type. 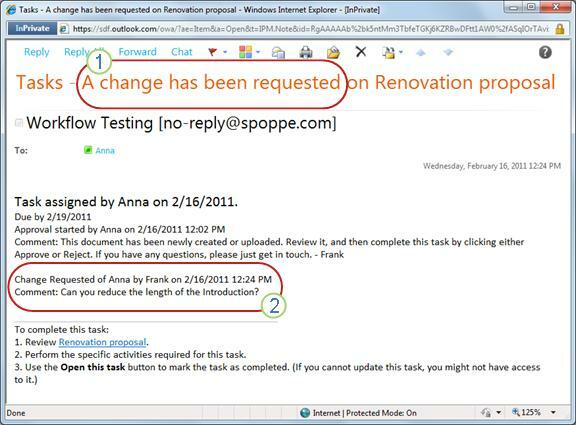 Select the Approval – SharePoint 2010 template. Note: If the Approval – SharePoint 2010 template doesn’t appear in the list, contact your SharePoint administrator to find out about having it activated for your site collection or workspace. If you are an administrator, Go to Site Settings > Site Collection Features > Activate Workflows feature. Type a name for this workflow. The name will identify this workflow to users of this list or library. For suggestions about naming your workflow, see the PLAN segment of this article. Select a task list to use with this workflow. You can select an existing task list or click New task list to have a new list created. For information about reasons for creating a new task list (as opposed to choosing an existing one), see the PLAN segment of this article. Select a history list to use with this workflow. You can select an existing history list or click Workflow History (new) to have a new list created. For information about reasons for creating a new history list (as opposed to choosing an existing one), see the PLAN segment of this article. Specify the way or ways in which this workflow can be started. For information about selecting start options, see the PLAN segment of this article. For information about using the workflow to control content approval, including the publication of major versions, see the Control segment of this article. Note that the option Start this workflow to approve publishing a major version of an item doesn’t appear if you’re adding the workflow for only a single content type. Also note that if you select Start this workflow to approve publishing a major version of an item, the two following check boxes become unavailable. When all of the settings in this form are the way you want them, click Next. Complete the second page of the association form. Note: SharePoint products presents you with the first several options in this second page of the association form — numbers one through seven in the following illustration, from Approvers through CC — each time that you start the workflow manually, so that you can make changes to those options for just that one instance. Enter names or addressed for the people you want the workflow to assign tasks to. Enter the names or addresses in the order in which the tasks should be assigned. The order of the names or addresses doesn’t matter. For more information about including outside participants, see the Complete segment of this article. Specify whether the tasks should be assigned one at a time (in serial) or all at once (in parallel). For more information about using serial order and parallel order, see the PLAN segment of this article. Add any stages that you want beyond the first one that you’ve just configured. To delete an entire stage, click in the Assign To field for that stage, and then press CTRL+DELETE. For more information about using multiple stages, see the PLAN segment of this article. Specify a final due date for the entire workflow, and/or specify the number of days, weeks, or months allowed for the completion of each task from the time when it’s assigned. If this workflow will ever start automatically, it’s usually a good idea to leave the Due Date for All Tasks field empty and to use the two duration fields to control the due date. You can always supply a precise due date in the initiation form if and when you start the workflow manually. For more information about when to use due dates and when to use task durations, see the PLAN segment of this article. Enter the names or email addresses of anyone who should be notified each time the workflow starts or ends. Entering a name here doesn’t result in the assignment of a workflow task. When the workflow is started manually, the person who starts it receives the start and stop notifications without needing to be specified in this field. When the workflow is started automatically, the person who originally added it receives the start and stop notifications without needing to be specified in this field. Select neither, either, or both of these options. For more information about these options, see the PLAN segment of this article. Select this check box if you will be using this workflow to manage content approval. For more information about using the workflow to control content approval, including the publication of major versions, see the Control segment of this article. When you have all of the settings in this page the way you want them, click Save to create the workflow. Go to the home page for the site collection (not the home page for a site or subsite within the collection). Click the Settings icon and then click Site settings. On the Site Settings page, under Web Designer Galleries, click Site Content Types. On the Site Content Types page, click the name of the site content type for which you want to add a workflow. Note: A workflow added to the whole site collection must be added for items of a single content type only. On the page for the selected content type, under Settings, click Workflow Settings. On the Workflow Settings page, click the Add a workflow link. Type a name for this workflow. The name will identify this workflow to users of this site collection. Add this workflow to child content types? Specify whether this workflow should be added to (associated with) all other site and list content types that inherit from this content type. If inheritance has been broken for any sites or subsites where you want this workflow added to inheriting content types, then make sure that you are a member of the Owners group in each of those sites or subsites before you run this operation. When all of the settings in this page are the way you want them, click Next. Enter names or addresses for the people you want the workflow to assign tasks to. Enter the names or addresses in the order in which you want the tasks to be assigned. Add any stages that you want beyond the first one that you have just configured. If you’re ready, go to the START segment of this article and start the first instance to test your new workflow. Manually at any time, by anyone who has the necessary permissions. Automatically whenever a specified triggering event occurs. That is, when an item is added to the list or library, and/or when an item in the list is changed in any way, and/or when somebody attempts to publish a major version of an item). If the workflow is configured to start automatically, then each time a triggering event occurs, the workflow runs on the item that triggered it. When the workflow starts, it assigns the first task or tasks and sends a task notification to each assignee. Meanwhile, it also sends start notifications (distinct from task notifications) to the person who originally added the workflow and to anyone listed in the CC field of the second page of the association form. Note: When a new workflow that will start automatically is added, the Due Date for All Tasks field on the second page of the association form should usually be left blank, because any explicit date value specified there won’t automatically adjust itself in relation to the date on which the workflow starts each time. For more information, see the PLAN segment of this article. The remaining two sections in this segment provide instructions for both methods. Go to the list or library where the item that you want to run the workflow on is stored. Click the ellipsis next to the name of the item, and then in the dialog box click the ellipsis to open the item menu , and then click Workflows on the drop-down menu. On the Workflows: Item Name page, under Start a New Workflow, click the workflow that you want to run. On the Change a Workflow page, in the initiation form, make any changes that you want to apply to this specific instance of the workflow. Note: Changes made here, in the initiation form, are used only during the current instance of the workflow. If you want to make any changes that will apply each time the workflow runs, or if you want to change workflow settings that don’t appear in this form, see the CHANGE segment of this article. Make any changes to the list of people that you want the workflow to assign tasks to. Make sure that the specifications for whether the tasks should be assigned one at a time (in serial) or all at once (in parallel) are how you want them. Add or any stages that you want beyond the one or ones that are currently configured. Because you are starting the workflow manually, you will receive the start and stop notifications whether or not you’re listed in this field. When you have all of the settings in the initiation form the way you want them, click Start to start the workflow. The workflow assigns the first task or tasks, and meanwhile sends start notifications to you and to anyone listed in the CC field of the initiation form. Open the item in the installed Office program on your computer. In the open item, click the File tab, click Save & Send, and then click the workflow that you want to run on the item. If you see the following message, telling you that the workflow needs the file to be checked in, click the Check In button. Click the big Start Workflow button. Contact information for questions and problems. Because you’re starting the workflow manually, you will receive the start and stop notifications whether or not you’re listed in this field. When you have the settings in the initiation form the way you want them, click Start to start the workflow. Also, it’s a good idea to check whether participants are receiving their email notifications, and particularly that the notifications aren’t being mishandled by junk email filters. And of course, you might have one or more workflow tasks to complete yourself. Go to the Complete segment of this article for the details about how to complete them. Meanwhile, for information about how you can keep track of the progress of the current instance of the workflow, go to the MONITOR segment of this article. If this is the first time that you’ve been assigned a task in an Approval workflow, you might find it useful to review this segment of the article in full before you complete your task. That way, you’ll be aware of all of the options that may be open to you. Note: If you know that a workflow task has been assigned to you, but the notification message hasn’t appeared in your email Inbox, make sure that the notification hasn’t been misrouted by your junk email filter. If it has, adjust the settings of your filter accordingly. 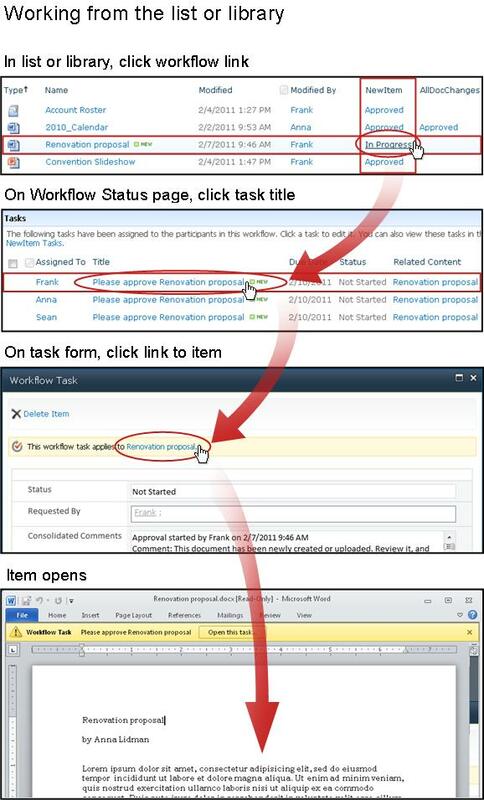 Different types of workflows require different task actions. So before you begin, make sure that the task you’ve been assigned is indeed an Approval workflow task, and not a task for some other type of workflow. If you don’t see the Please approve text in these locations, check with the person who started or originally added the workflow to find out which workflow template it’s based on — or whether it’s a custom workflow. You’ll find links to articles about how to use the other types of workflows included with SharePoint products in the See Also section of this article. If your task is an Approval task, however, keep right on reading! You receive an email task notification. You open a Microsoft Office document and see a message bar that informs you that you’ve been assigned a related task. You check the SharePoint site and discover that one or more tasks are currently assigned to you. Review the item Find out whether or not you can approve the item in its current state. Complete your task Use the task form to submit the results of your review. Here’s what those three items look like. 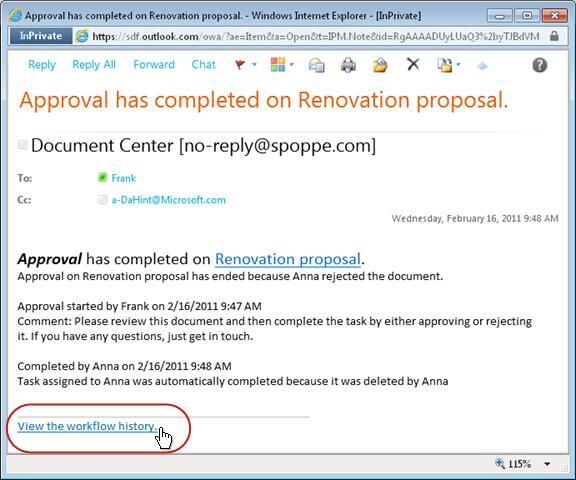 Note: The Open this Task button on the Ribbon in the task notification message appears only when the message is opened in the full, installed version of Outlook, and not when it’s opened in the Outlook Web Access web application. In the task notification message, in the To complete this task instructions, click the link to the item. In the opened item, click the Open this task button on the message bar. In the list or library where the item to be reviewed is stored, click the In Progress link associated with the item and workflow. On the Workflow Status page, click the title of your task. In the task form, in the This workflow task applies to message bar, click the link to the item. In this example, the item is a Microsoft Word document. Tip: If this is a group task — that is, a single task assigned to a whole group or distribution list so that a single group member can complete the task for the whole group — then it’s a good idea to claim the task before you review the item. That way, you reduce the chance that another member of your group will also review the article. For instructions, see Section 7 in this segment, Claim and complete a group task. Server Read-Only This document is open in read-only mode — that is, you can read the document, but you can’t make any changes in it. 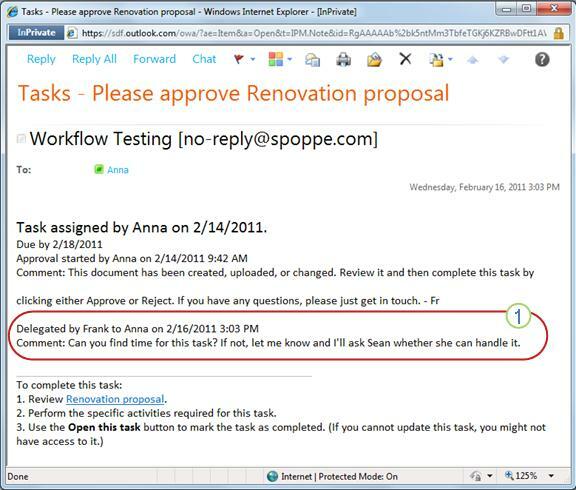 Workflow Task When you’re ready to register your response in the task form, click the Open this task button. The task form for an Approval workflow task looks something like this. Note that the first two items (Delete Item and This workflow task applies to Item Title) don’t appear in the task form when it’s opened from inside the item for review. To delete this task from the current instance of the workflow, click this button. Deleting the task doesn’t delete the item to be reviewed. If you delete the task, that action functions as (and is recorded in the history as) a rejection of the document. So if the workflow is configured to end at the first rejection, then deleting the task ends the workflow. Note: If you didn’t start this instance of the workflow, you might want to check with the person who did start it before you delete the task. To open the item for review, click the link here. You can’t edit or change entries in these four fields, but you might find the information in them useful. 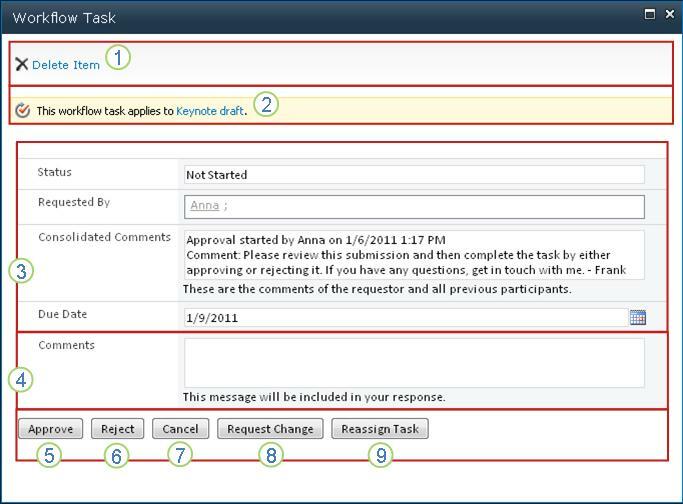 Notice that the Consolidated Comments box contains not only any additional instructions on how to complete your task, but also all comments submitted by participants who have already completed their tasks in this same instance of the workflow. In the same way, after you submit your own form, any comments that you include in the Comments box (4) will also appear in the Consolidated Comments box for subsequent participants. Any text that you enter here will be recorded in the Workflow History and will also appear in the Consolidated Comments field (3) for subsequent participants. To approve the item, first type any comments that you want to contribute in the Comments field (4), and then click this button. To reject the item, first type any comments that you want to contribute in theComments field (4), and then click this button. To close the task form without saving any changes or responses, click this button. The task will remain incomplete and assigned to you. To request a change to the item that you’re reviewing, click this button. For an illustration of the form where you’ll enter the details of your request, and for further instructions, go to section 8 in this segment, Request a change to the item. Note: This option might be turned off for some workflow tasks. To reassign the Approval task to someone else, click this button. For an illustration of the page where you’ll enter the details of the reassignment, and for further instructions, go to section 7 in this segment, Reassign the Approval task to someone else. If only a single task is assigned to an entire group that you belong to, then any member of the group can claim and complete that single task on behalf of the whole group. Click the arrow, click Edit Item and then, in the task form, click the Claim Task button. When the Workflow Status page is refreshed, you can see that the task is no longer assigned to the group, but specifically to you. Later, if you want to release the task to the group again without completing it, use the same steps to return to the task form, but now click the Release Task button. Before you begin this process, note that the workflow may be set up to end immediately if any change is made to the item. It might be a good idea to check with the person who started or originally added the workflow, to make sure that it’s all right for a change to be made and for the workflow to end at that point. First, imagine that your name is Frank. 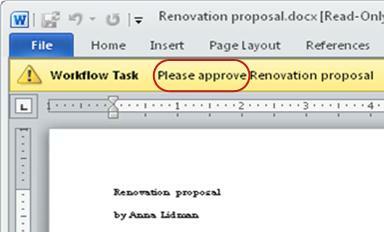 Then, imagine that a coworker named Anna has started an Approval workflow on a document that she has created. When you review Anna’s new document, you feel that the Introduction is too long. You click the Request Change button at the bottom of the workflow task form, and then complete this form. Enter the name or email address of the person you’re requesting the change from. To keep the existing due date Leave this field blank. To remove the due date entirely Type the number 0. To specify a new due date Type a number here and then specify the duration units in the following field. Taken together, the two entries identify the period before the change task is due. When you have all of the form entries the way that you want them, you click Send, and your current task is markedComplete. (But you’re not done yet. 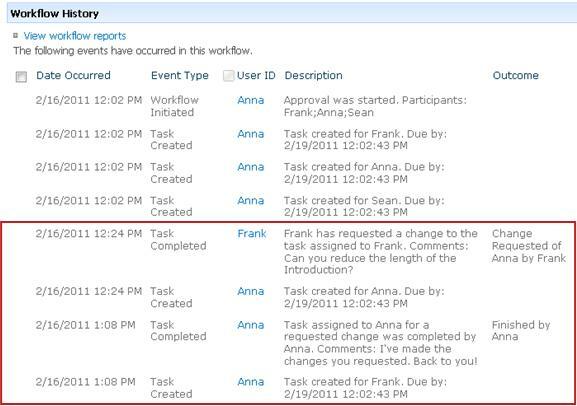 You’ll be assigned an approval task again after Anna completes the change task). Anna can tell after just a glance at the Subject line (number 1 in the illustration) that this isn’t an ordinary Approval notification, but instead a request to change something about the item. She finds the information about the specific change that has been requested in the Change Requested of text (number 2). Anna checks out the item, makes the requested changes, then saves her changes and checks the item back in. 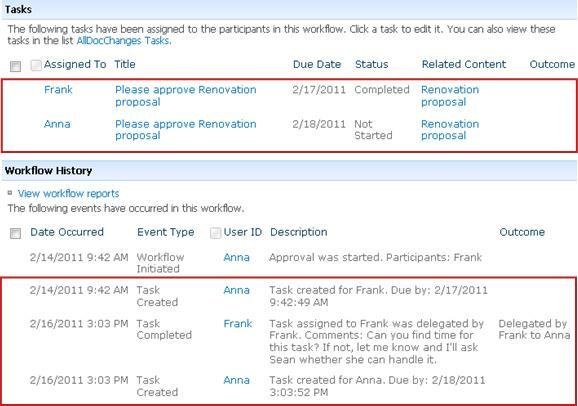 Then she goes to the Workflow Status page and opens her change-request task from the Tasks area there. It marks Anna’s change request task as Complete. 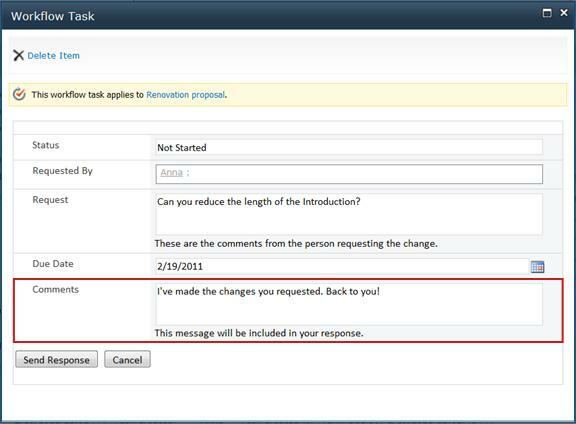 It assigns a new approval task to you (with Anna’s comments added in the Consolidated Comments field) and sends you a notification about that task. Now you can go ahead and complete your review of the changed item. Meanwhile, all of these actions are tracked and visible in the Workflow History section of the Workflow Status page, as shown in the following illustration. Here’s a diagram of the whole process. If you want someone else to complete a workflow task that has been assigned to you, click the Reassign Task button in the workflow task form. Enter the name or address of the person to whom you want to assign this task. To assign this task to the person who started the workflow — or, if the workflow started automatically, to the person who originally added this workflow — leave this field blank. When the form is complete, click Send. Your task is marked Completed, a new task is assigned to the person now responsible for the task, and a task notification is sent. Any new information that you supplied is included in the Delegated by text in the new task notification (number 1 in the following illustration). Meanwhile, all of these changes are tracked and visible in the Tasks and History sections of the Workflow Status page, as shown here. Include the email address of the outside participant in the appropriate Assign To stage on the second page of the association form. 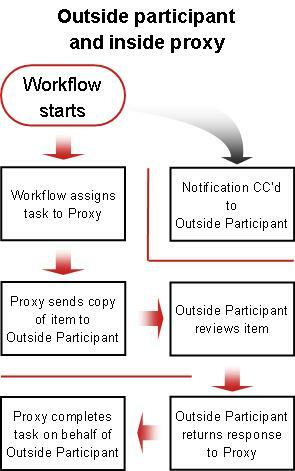 The workflow actually assigns the outside participant’s task to the site member who starts the workflow — or, if the workflow starts automatically, to the member who originally added the workflow. This person to whom the task is actually assigned acts as the proxy for the outside participant. The site member to whom the task is actually assigned sends a copy of the item to the outside participant. The outside participant reviews the item and sends back their response to the site member. When the outside participant’s response arrives, the site member completes the task in on behalf of the outside participant. 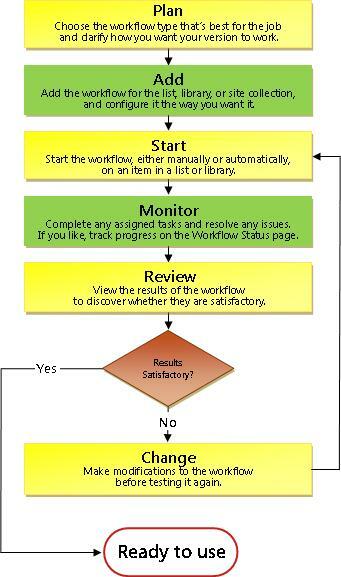 The central location from which you can monitor, adjust, or stop a running workflow is the Workflow Status page for that instance of the workflow. First we’ll show you how to get to that page, then we’ll show you how to use the options and information that you find there. Finally, we’ll show you two other pages where you can get additional monitoring information. In the list or library where the item is located, click the In Progress link for the item and workflow that you want. 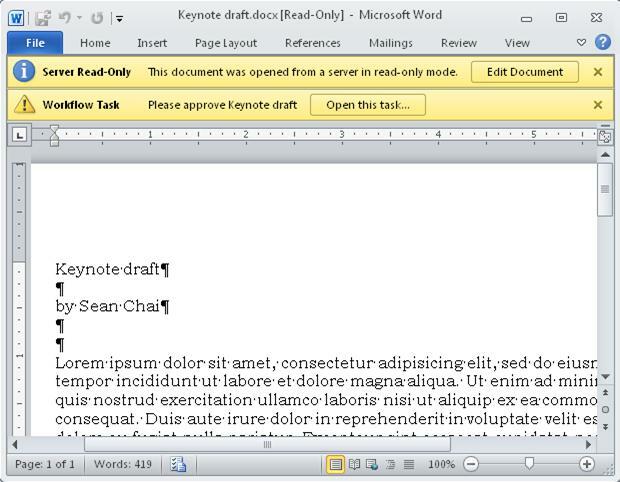 In this example, the item is the document named Keynote Draft and the workflow is Approval 3. The Workflow Status page opens. If your list or library contains a large number of items, you can use sorting and/or filtering to find the item you’re looking for more quickly. If you find that you’re repeatedly sorting and/or filtering in the same way, you might find it useful to create a custom view that automates that particular arrangement. To get to the Workflow Status page, you can also click either the View the status of this workflow link in a “has started” email notification or the View the workflow history link in a “has completed” email notification for the specific instance you’re interested in. Here, under the illustration of each section of the Workflow Status page, you’ll find the monitoring questions that the section answers. Who started this instance of the workflow? When was this instance started? When did the last action in this instance occur? Which item is this instance running on? What is the current status of this instance? Which tasks have already been created and assigned, and what is their current status? Which tasks have already been completed, and what was the outcome for each of those tasks? What is the due date for each task that has already been created and assigned? Tasks that have been deleted and tasks that haven’t yet been assigned don’t appear in this section. What events have already occurred in this instance of the workflow? Note that overdue tasks and overdue-task notifications don’t appear in this area. Click the title of the task in the Tasks list. 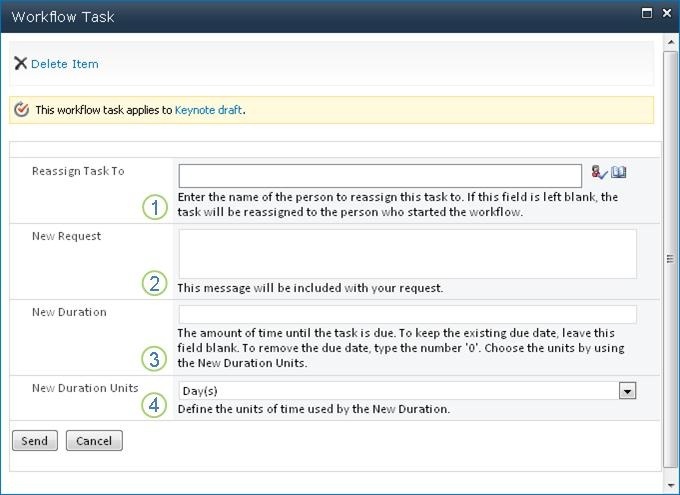 Use the task form to complete, delete, or reassign the task. 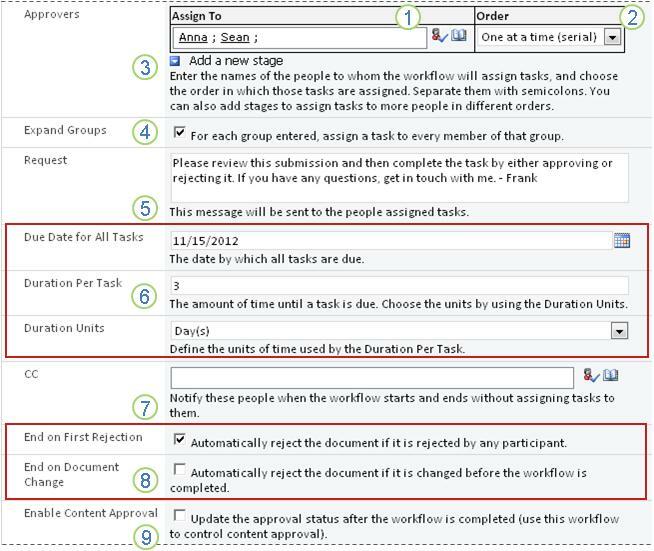 For more detailed instructions about how to use the task form, see the Complete segment of this article. 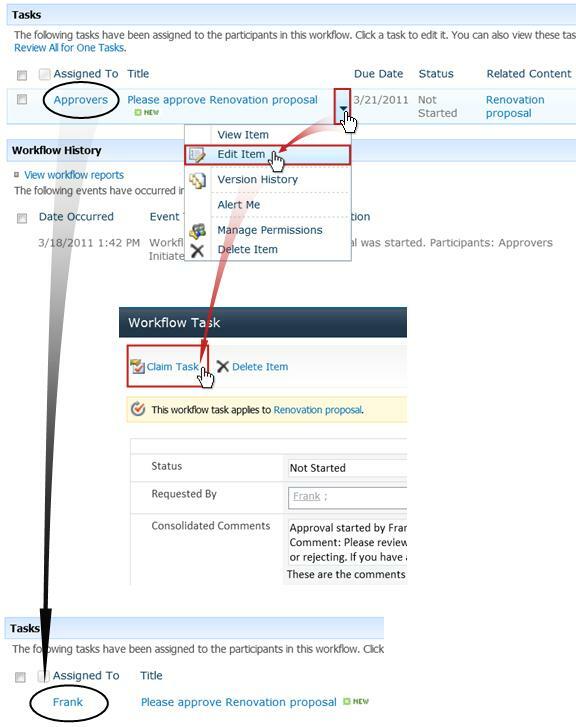 In the area just below the Workflow Visualization, click the Update active tasks of Approval link. Make your changes in the form that opens, and then click OK. Messages reflecting your changes are sent to the people who are currently assigned tasks in this run. Tasks already completed or deleted, and tasks not yet assigned, aren’t affected by the changes you make in this form. If you want to make changes to tasks not yet assigned, see the following section, Change future tasks. 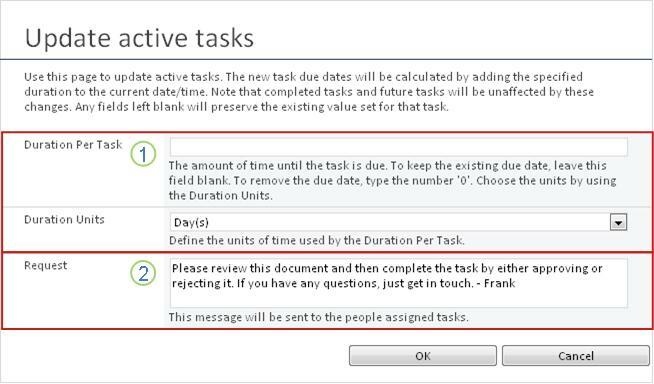 To keep the existing due date Leave Duration Per Task blank and make no change to Duration Units. To remove the due date so that there is none Type the number 0 in Duration Per Task. 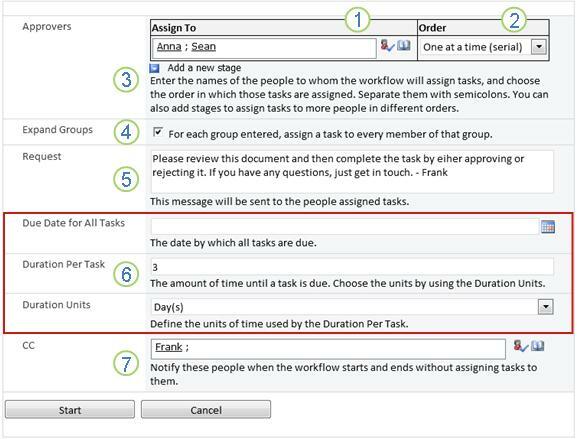 To move the due date out by extending the task duration Use both duration fields to specify the number and type of units by which you want to extend the duration. To change the request text Make any changes you want in the text box. When you have all of the fields in the form the way you want them, click OK.
All active tasks in the current instance are updated. On the Workflow Status page, in the area just below the Workflow Visualization, click the Add or update approvers of Approval link. Make your changes in the form that opens, and then click UPDATE. Note: Tasks already created and assigned aren’t affected by the changes you make in this form. To add or remove participants, or to change the order of tasks Add, remove, and/or rearrange the order of participant names or addresses in theParticipants field. To remove an entire stage Click in the Assign To field for that stage, and then press CTRL+DELETE. 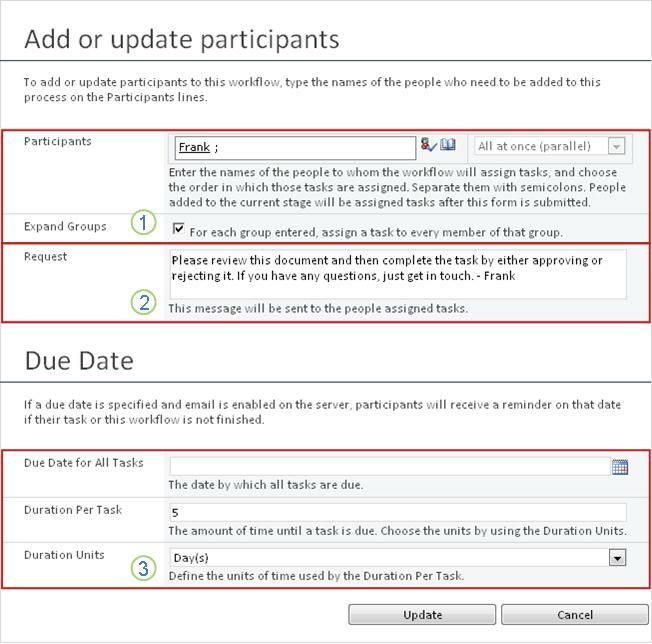 Note: You can use the Expand Groups check box to specify whether distribution groups listed should be assigned only one task for the entire group or one task per member. For more information on using these fields, see the PLAN segment and the appropriate Add segment (List/library or Site Collection) of this article. To change the request text Make any changes that you want to the text in the box. 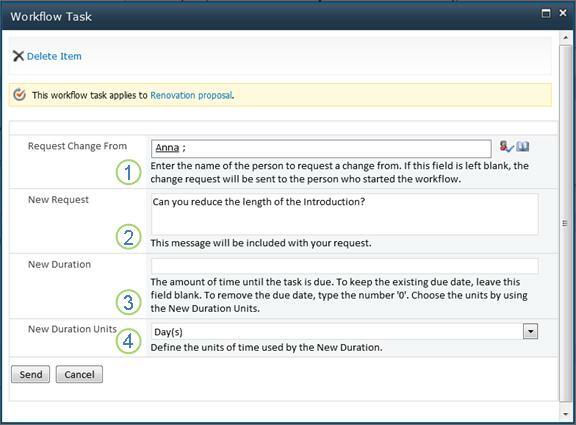 To keep the existing duration Leave Duration Per Task blank and make no change to Duration Units. To remove the duration so that there is none Type the number 0 in Duration Per Task. All future tasks in the current instance will reflect your changes. Cancel the workflow All tasks are canceled, but are retained in the Tasks area of the Workflow Status page. Instructions for both methods follow. If the current instance of a workflow is no longer needed, it can be stopped. On the Workflow Status page, in the area just below the Workflow Visualization, click the Cancel all Approval tasks link. All current tasks are canceled, and the workflow ends with a status of Canceled. The canceled tasks are still listed both in the Tasks area and in the Workflow History area. If an error occurs, or if the workflow stops and fails to respond, it can be terminated. On the Workflow Status page, in the area just below the Workflow Visualization, click End this workflow, and then click Yes to confirm. All tasks created by the workflow are canceled and are deleted from the Tasks area on the Workflow Status page, though they’re still reflected in the Workflow History area. The workflow ends with a status of Workflow Cancelled. On the Workflows page for any item, you’ll find a list of the workflows currently running on that item. Go to the list or library where the item is stored. Point to the name of the item, click the arrow that appears, and then click Workflows in the drop-down menu. On the Workflows: Item Name page, under Running Workflows, you’ll find a list of instances currently running on the item. Note: Note that multiple instances of a single workflow version can’t run on the same item at the same time. For example: Two workflows, both based on the Approval template, have been added. One is named Plan Approval and the other is named Budget Approval. On any one item at any one time, one instance each of Plan Approval and Budget Approval can be running, but not two instances of either workflow. How many workflows based on each workflow template currently exist in the site collection. Whether each workflow template itself is currently active or inactive in the site collection. How many instances of workflow versions based on each workflow template are currently running in the site collection. Open the home page for the site collection (not the home page for a site or subsite within the collection). On the Site settings page, under Site Administration, click Workflows. The Workflows page opens, displaying the information. If this is the first time that this workflow version has run, you might want to use the instructions in the REVIEW segment of this article to view the events in the instance and discover whether the workflow functions as you want it to. Important: Note that the workflow history is provided for informal reference only. It can’t be used for official audits or for any other legal, evidentiary purpose. You can also run reports about the overall performance of the workflow across instances. As long as an item remains in the same list or library, and until the same workflow is run again on that same item, the history of the most recent instance can be accessed from the list or library. In the list or library where the item is located, click the status link for the item and workflow that you want. In this example, the item is the document titled Keynote draft and the workflow is New Doc Approval. On the Workflow Status page, the Workflow History section is located near the bottom. What if you want to review the history of an instance after you’ve run the same workflow again on the same item? In fact, you can do so for up to 60 days, from either of two entry points: the list or library, or the workflow completion notification. On the Workflows: Item Name page, under Completed Workflows, click the name or status of the workflow instance that you want to review. The Workflow Status page for that instance opens. Open the workflow completion notification for the instance that you want to review, and then click the View the workflow history link. Activity Duration Report Use this report to see averages of how long it’s taking for each activity within a workflow to complete, as well as how long it takes each complete run or instance of that workflow to complete. Cancellation and Error Report Use this report to see whether a workflow is frequently being canceled or encountering errors before completion. In the list or library, in the Status column for that workflow, click any status information link. On the Workflow Status page, under Workflow History, click View workflow reports. 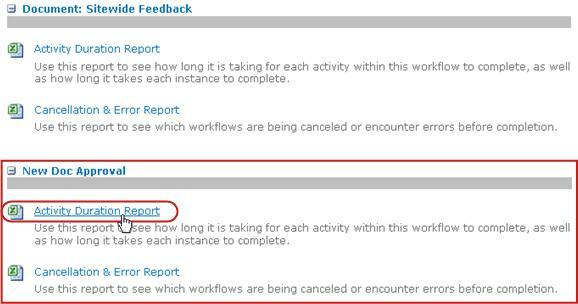 Locate the workflow for which you want to view a report, and then click the name of the report that you want to view. On the Customize page, either keep or change the location where the report file will be created, and then click OK. The report is created and saved to the specified location. If your workflow functions just the way you want it to, you’re all set to start using it. If there’s anything you want to change about how it works, see the CHANGE segment of this article. After you run the first instance of your new Approval workflow and review the results, you might want to make one or more changes to the way the workflow is configured. Also, you might want at various times in the future to make further changes to the configuration. Finally, you might at some point wish to disable the workflow for a shorter or longer period, but not remove it — or you might, indeed, want to remove it entirely. To make permanent changes to the settings for an existing workflow, you open and edit the association form that you originally used to add it. Open the list or library in which the workflow runs. On the Workflow Settings page, under Workflow Name (click to change settings), click the name of the workflow that you want to change settings for. Note: If the Approval workflow that you want doesn’t appear in the list, it might be associated with only one content type. Which workflows appear in this list is controlled by the These workflows are configured to run on items of this type control, located just below the list. (See the illustration.) Click through the content-type options in the drop-down menu to discover which one displays the workflow you want. When the workflow you want appears in the list, click its name. In the same two pages of the association form that were originally used to add the workflow, make and save the changes that you want. For more information about the fields and controls in the association form, see the PLAN segment and the appropriate Add segment (List/library or Site collection) of this article. 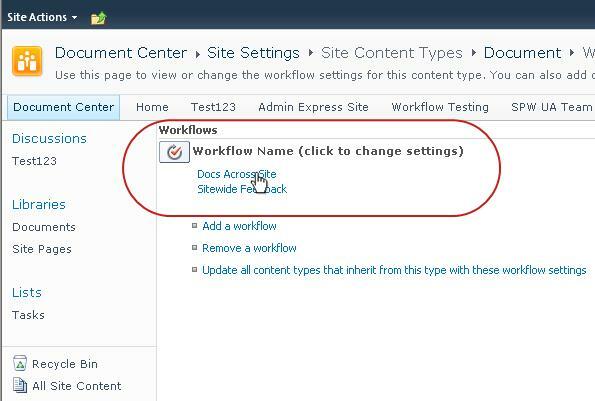 On the Site Content Types page, click the name of the site content type on which the workflow runs. On the Workflow Settings page, click the Remove, Block, or Restore a workflow link. Use the form on the Remove Workflows page to disable, re-enable, or remove workflows. Workflow Name of the workflow. Instances Number of instances of the workflow currently running on items. Allow Option that enables the workflow to continue to operate normally. On the Site Settings page, under Galleries, click Site Content Types. On the page for the selected content type, underSettings, click Workflow Settings. If you’ve made any changes, run a test instance of the workflow to double-check the effects of the changes. There are a wide variety of ways to further customize the workflows included with SharePoint products. You can even create custom workflows from scratch. Microsoft SharePoint Designer 2013 Customize workflow forms, actions, and behaviors. Microsoft Visual Studio Build your own custom workflow actions. For more information, see the Microsoft Software Developer Network (MSDN) Help system.